Norwegian professor and cryptologist Linus Lindehagen is found murdered in an apartment in Oslo the same evening he is supposed to give a lecture at the Royal Society in London, where he will reveal the sensational contents of a mysterious medieval parchment, known as the Voynich manuscript. Nobody has so far managed to decrypt the ancient symbols and writings. The eccentric special unit investigator at the Oslo police force, Skarphedin Olsen, is the first to arrive at the crime scene. Olsen gets involved in a case that turns out to be sinister and with a confusing chain of events and deaths. Who is willing to commit murder for the contents of this parchment not to become public? And what is the parchment all about ? Olsen and his team are facing an apparently insolvable crime. ” The Parchment” eventually culminate in a dramatic and surprising end. 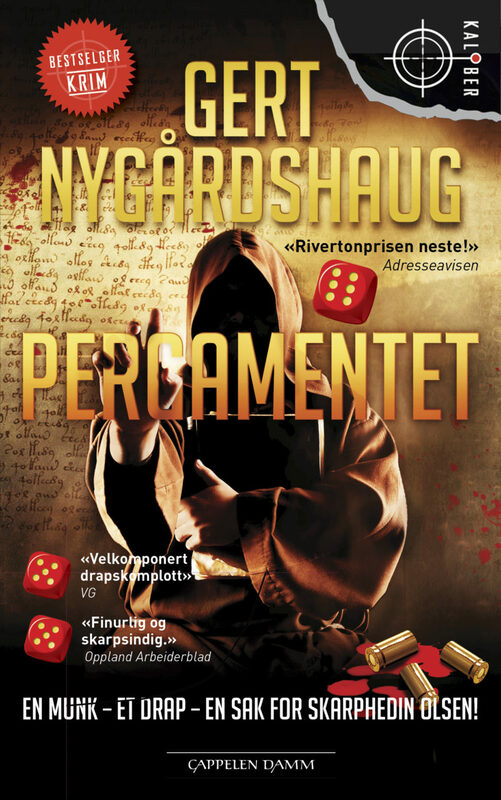 Packed with action and as usual; Nygårdshaug is entertaining the reader with his insight in historical peculiarities not known to everyman.